This tutorial gives you step by step directions for making your very own green screen video. I’ve been working with a lot of video lately and recently had a reason to play around with working with green screens. I have been mocking something up to test capabilities so I haven’t had the need to shoot my own green screen videos as of yet so this post is about the technical aspects not the actual shooting of the video. Go here to pick from green screen videos on YouTube. If you’re interested in learning how to shoot and light your own green screen videos check out the video embedded below. Open After Effects and create a “New Composition”. You can then import your video to work with. Under the “Effects & Presets” you’ll see a search icon. Select your video in the composition and enter “Keylight”. 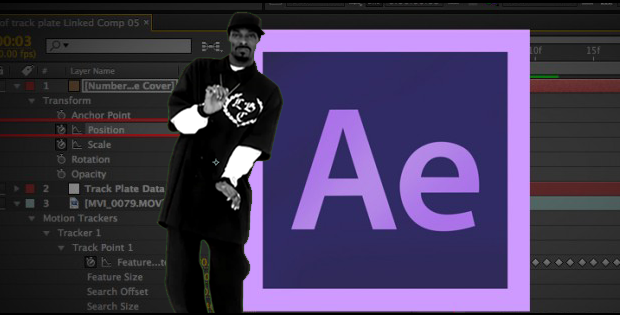 This will open the Keylight plugin on the left side of AE. You’ll see an eyedropper next to the “Screen Color” tab. Click on the tool and sample the green background in your video. At the top of the Keylight plugin you’ll see a drop-down panel that reads “Final Result”. Switch this to “Screen Matte”. Under the “Screen Matte” tab adjust the Clip Black and the Clip White toggle switches until the background is all black and the foreground is all white. In this scenario, I have the black set to 0.0 and the white set to 100. Go back to the top of the Keylight plugin and set the view back to “Final Result”. This will clip out the green Alpha layer and allow you to import an image or video to place under your project. That’s it. YO BAM! You’re welcome Internet.